Besides the big events in Reguliersdwarsstraat, there are also many nice activities elsewhere in Amsterdam. 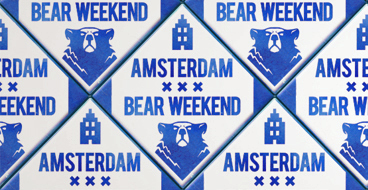 Like the general Amsterdam Gay Pride there's also the Amsterdam Bear Weekend, with various activities around the leather and cruise bars for big and hairy men and those hwo favor them. There's the Mister Bear Netherlands election and the Bear Necessity and FurBall party at club AIR. 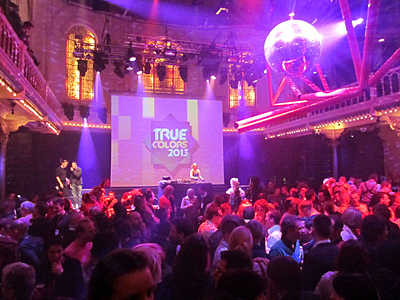 The Pink Film Days (Dutch: Roze Filmdagen) are one of the biggest LGBTQ film festivals in the world. With over 100 films, short films and documentaries from about 40 countries and in all genres. There are also talk shows and opportunities to meet directors and actors. On April 27, the birthday of the king (Dutch: Koningsdag) will be celebrated with flea markets and street parties all around the city center, and almost everyone will be dressed in orange. On the night before, King's Night, there are already somewhat smaller street parties for locals. 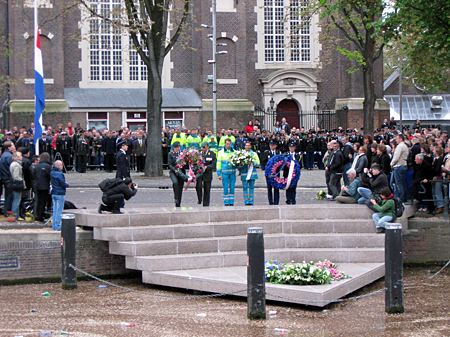 On May 4, there's a Remembrance of the Dead at the Gay Monument (Dutch: Homomonument), in which gay victims are honoured with a wreath-laying ceremony. 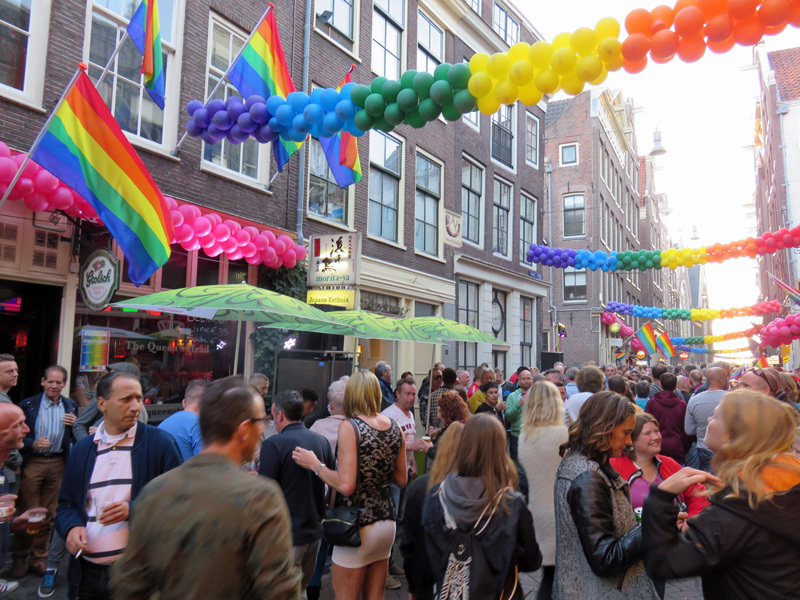 May 5 is Liberation Day, which is celebrated here with an open air LGBTQ party. 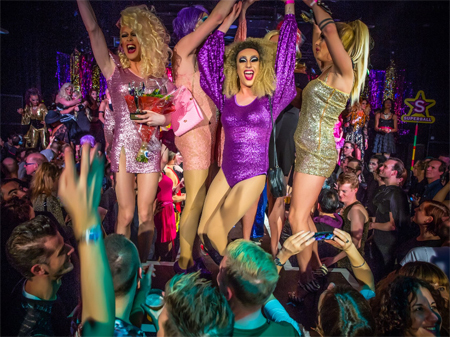 After various successful editions, some 100 extravagant drag queens will again come together in an hilarious battle for the title of "Amsterdam's Leading Drag House". Besides the general Amsterdam Gay Pride, there's also the Amsterdam Fetish Pride, consisting of various events for men who like rubber, lycra, sneakers and sportswear. Highlights are the Invasion-party and the election of Mr. Leather Amsterdam. 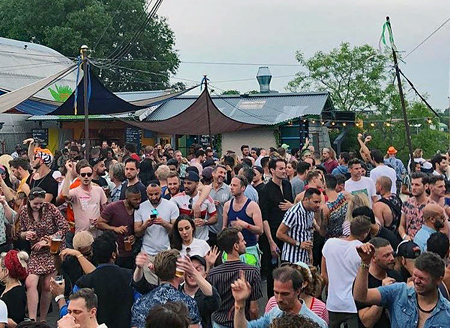 Tropikali is a brand new open-minded festival, gathering the Rosario, Kalinichta and I Will Survive parties in the garden of the Noorderlicht Café at the former NDSM wharf. It turns this industrial location into a tropical paradise, with a bold twist and a musical journey from Berlin to Rio, with a layover in Beirut. 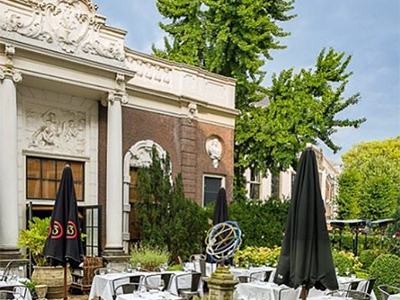 In Reguliersdwarsstraat one can dine at terraces in the beautiful gardens behind the stately canal houses. Similar hidden gardens can be visited during the Open Garden Days, when 25 gardens of private owners as well as public institutions will be open to the public. 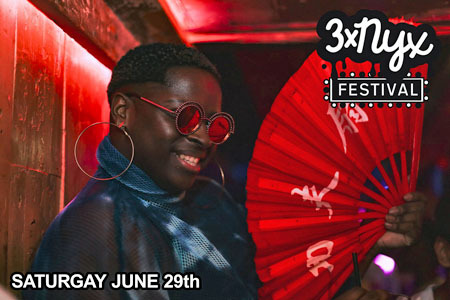 3x NYX, the gay night of Club NYX, brings a brand new queer festival to Thuishaven Amsterdam. A place without prejudice, where gender has no name and where self-expression is key. A celebration of acceptance that unites people through music, performances & creativity. 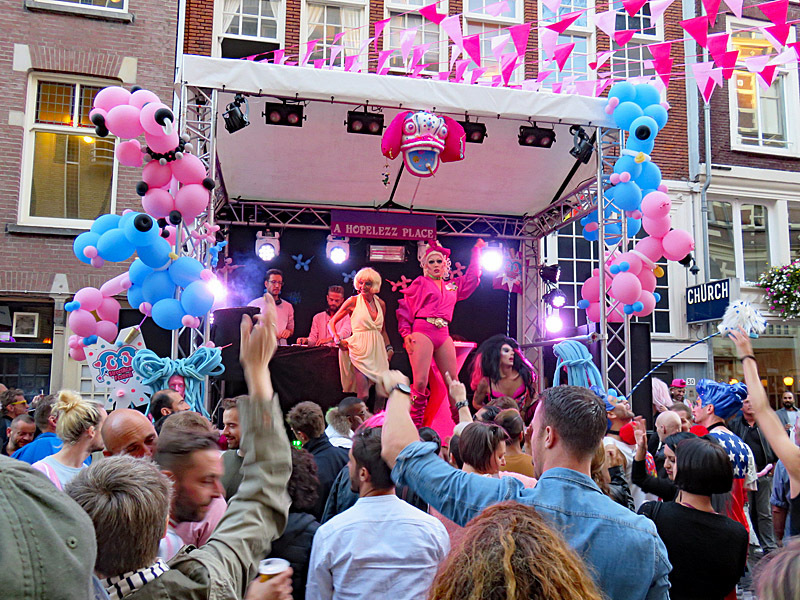 Kwaku is the biggest multicultural festival of Amsterdam, with Pink Sunday being especially dedicated to gay people. 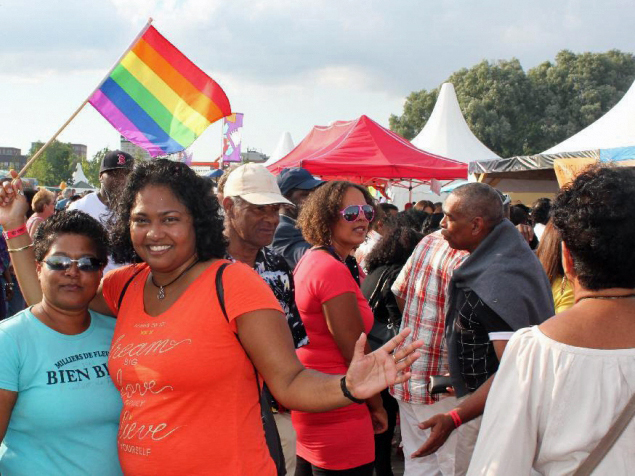 With some 20.000 visitors, this is the biggest black LGBT event of Europe and was also the unofficial kick-off of the Amsterdam Gay Pride. An initiative of Erwin Olaf, Ted Langenbach, Diva Mayday, AIR and Paradiso: a festival where thick, thin, small, large, gay, straight, trans, black and white celebrate diversity. There are stages for various music genres as well as extravagant live performances. 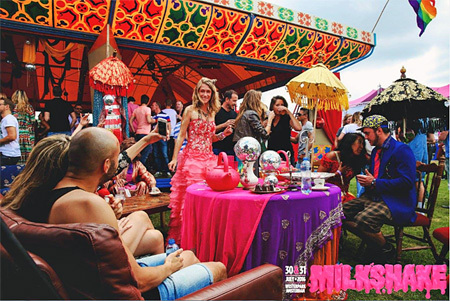 Pride Amsterdam encompasses a wide variety of events and activities for gay, lesbian, bisexual and transgender people. There are street parties and the famous boat parade as highlight on Saturday, August 3. On Sunday, there's a big closing party on Dam square. 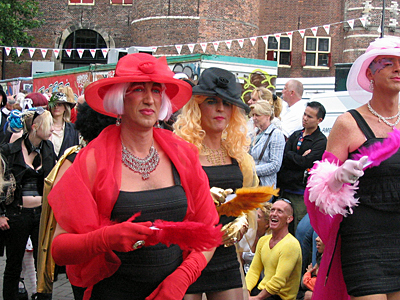 Instead of three Hartjesdagen ("Days of Hearts"), there's now only the traditional parade in which men dress up like women and women dress up like men on Monday. On the previous Sunday there's a Romantic Night with small-scale performances in various cafes and restaurants. 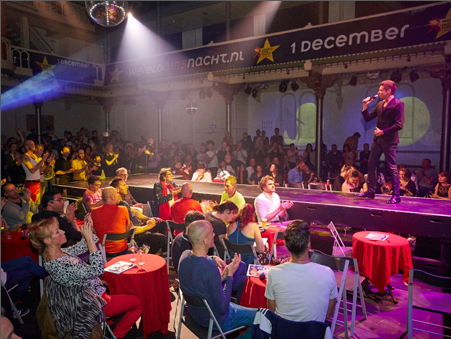 Organized by Jennifer Hopelezz in cooperation with the GALA foundation: a festive and inclusive LHBTQ-event at which visitors can dance, participate in a fashion show and vote for their Genderfluid Streetheart. From 13.00 till 21.00 hrs. in Kerkstraat outside club Church. 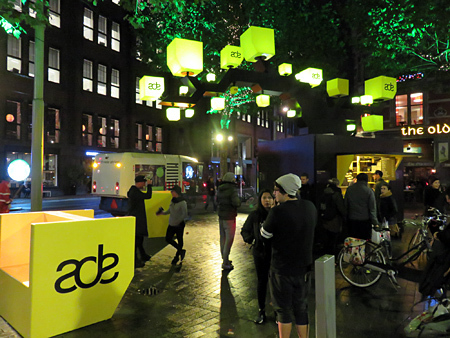 The ADE is the biggest festival for electronic Dance music in the world: at more than 80 big and small locations all around the Amsterdam city center there are performances of over 2000 Dutch and international DJs. Besides the general Gay Pride, there's also the Amsterdam Leather Pride specially for leather men. It consists of a long weekend with events in and around the leather and cruise bars and for the first time the election of Mr. Puppy NL. Highlight is the Invasion-party, which takes places at the NDSM dock yard. During the Amsterdam Light Festival there are some 40 unique light objects and sculptures at various locations throughout the city center. 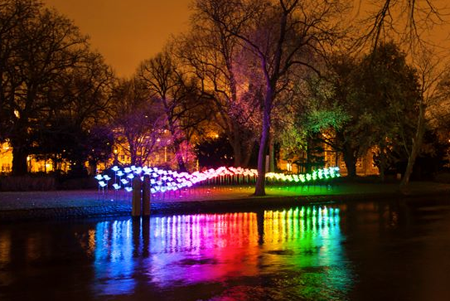 They can be seen through a boat tour called "Water Colours" and a walking tour which is named "Illuminade". As the successor of the first aids benefit parties and the Love Balls in the former RoXY, Love Dance is an annual party which is held on World Aids Day to raise awareness and funds for combating hiv and aids. It celebrates diversity and solidarity with a wide variety of performances. The only remaining event of the former Pink Christmas is a special LGBT Christmas service, which is held on the Sunday before Christmas. It's a pink celebration with music, food and glühwein. 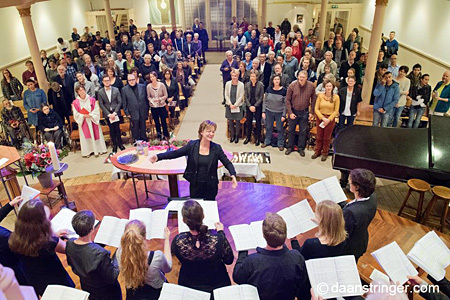 The service takes place in Keizersgrachtkerk, starts at 18.00 hrs and everyone is welcome! As successor of it's New Year's reception, LGBT rights organisation COC now organizes a big party, which also serves as fundraiser for the Bob Angelo Fund. There are various performances, LGBT volunteers are honoured and the annual Bob Angelo Prize will be awarded.